More Stats = More Fun...? Patch 1.105 for Defiance is now live. I guess the developers needed something to do with their MMO-ish shooter given that the linking TV show is on hiatus until spring of next year. If your squad of trusted allies is in need of more structure to your hellbug slaughtering mayhem, this might what your team has been waiting for. The name of the game for this patch is all about weapon bonuses and stats. Previous to patch 1.105, the guns in Defiance would come with various effects, such as bullets that set bad dudes on fire, or a gun that would revive the wielder upon death, which sounds like a pretty awesome gun. Of course, some of these bonuses would be just plain dumb, such as a sniper rifle that did additional melee damage. Well, now that the game has been patched, nobody has to worry about those anymore! New weapons are all gauged according to rarity. The rarer an item is, the better it will be. As items ascend in rarity, they gain additional bonuses while keeping the same bonuses of the previous iterations. Observe: this helpful chart! The patch affects both weapons that have not yet dropped and those already equipped. This has been met with some derision in the community, given that they are changing gear that players are actively holding in their hands. Defiance possesses a sort of gambling routine with in-game currency, allowing players to purchase lock boxes with random goodies inside. Imagine if you've spent hours grinding for bits for a shot at a weapon perfect for your style. After many failures, you hold this brand new shotgun in your hands as you would your own child. Now, imagine your shotgun has been magically transformed into something completely different. Is your only emotion not white-hot rage? 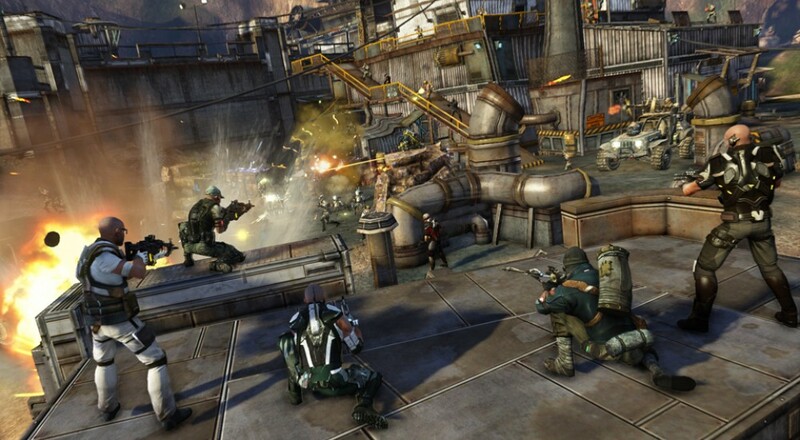 We've got a review of Defiance, in case you had questions about checking it out. Page created in 0.3933 seconds.